Rejuvapen™ is an advanced non-surgical skin rejuvenation treatment that utilizes an innovative technique called “microneedling.” The Rejuvapen™ procedure is designed to target specific areas of concern and help the skin replenish its supply of collagen and elastin, which can enhance tone and texture while giving the skin a smoother, healthier appearance. Plastic surgeon James E. Vogel, MD can perform this quick, minimally-invasive procedure right here in the office, and most patients are able to resume normal daily routines immediately after treatment. Since Rejuvapen™ is designed to jumpstart the production of collagen in the treatment area, your skin texture can be significantly rejuvenated to yield more youthful results. 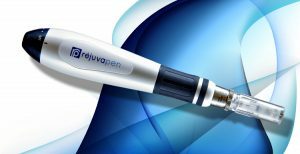 The Rejuvapen™ Micro Fractional System uses a special device (about the size of a pen) to create tiny perforations in the area of skin targeted for treatment. The small microneedles that will be gently applied to the outer layers of skin stimulate the skin’s ability to repair itself. 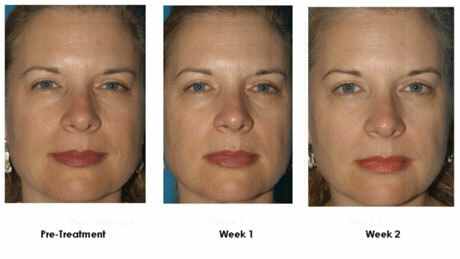 This can ultimately lead to a firmer appearance and a healthier, more refreshed look in the treatment areas. Many patients notice results from Rejuvapen™ immediately after the first treatment; however, it may take multiple treatment sessions to achieve the best possible outcome. During your initial consultation with Dr. Vogel, he will talk with you about all aspects of the Rejuvapen™ procedure and determine if this option is right for your unique needs and goals. If you have questions about Rejuvapen™, or if you would like to schedule a consultation to find out more about this procedure, please contact us today.